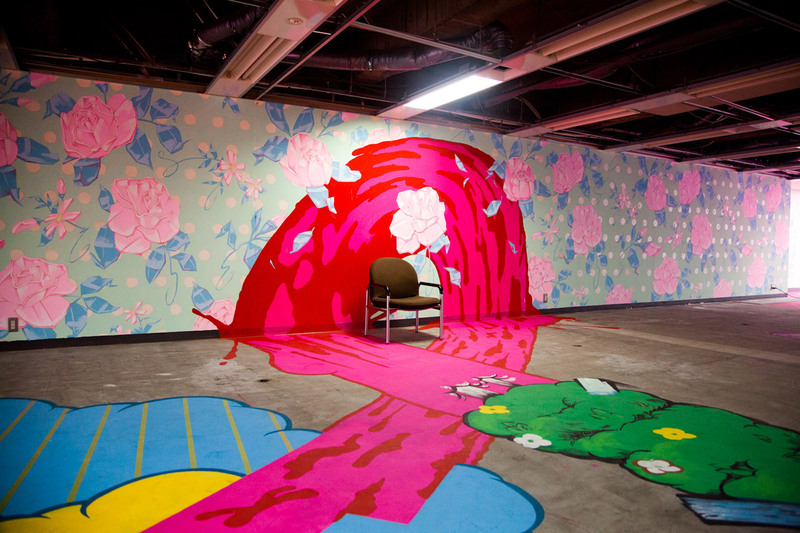 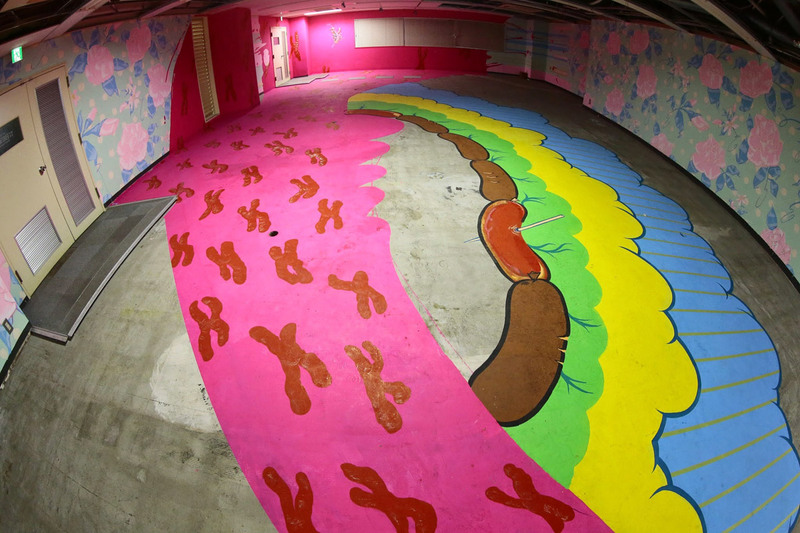 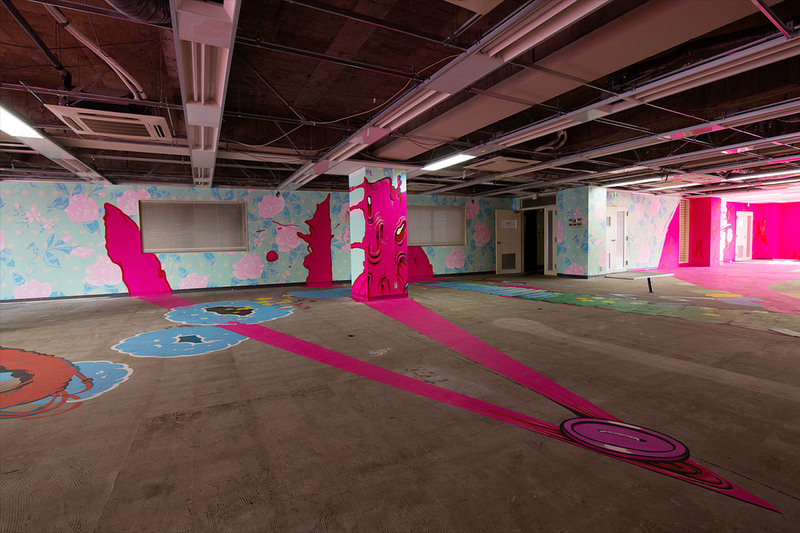 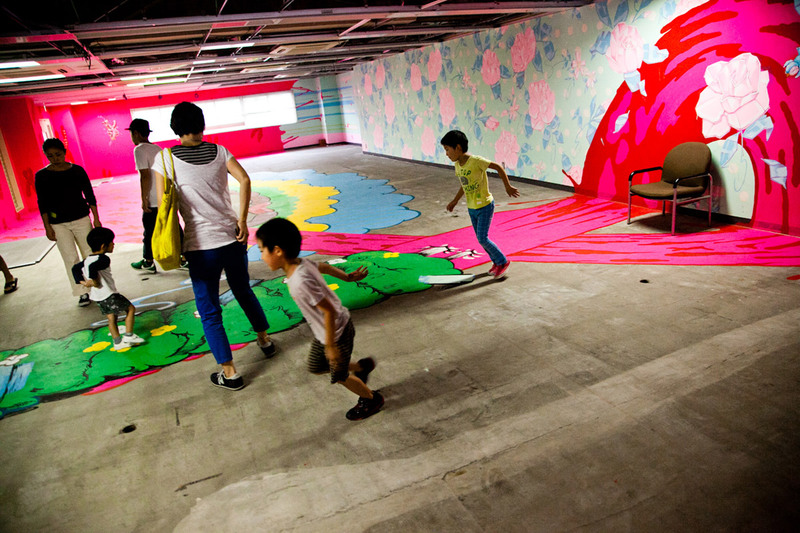 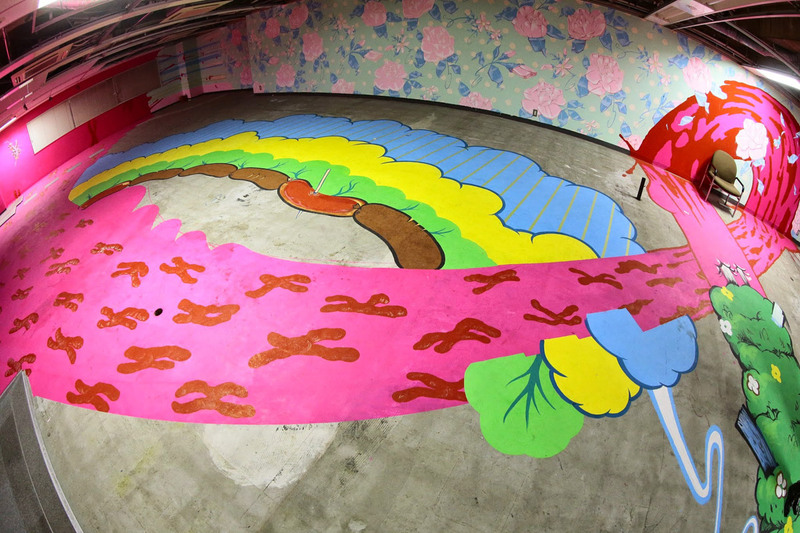 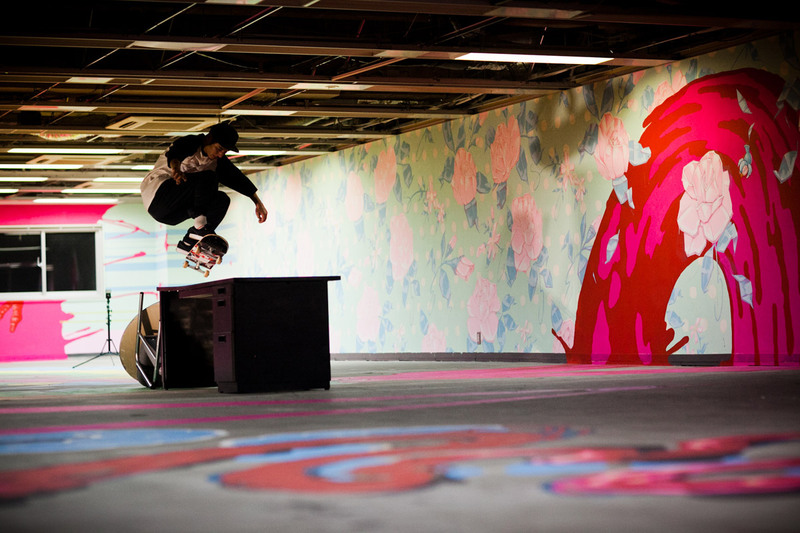 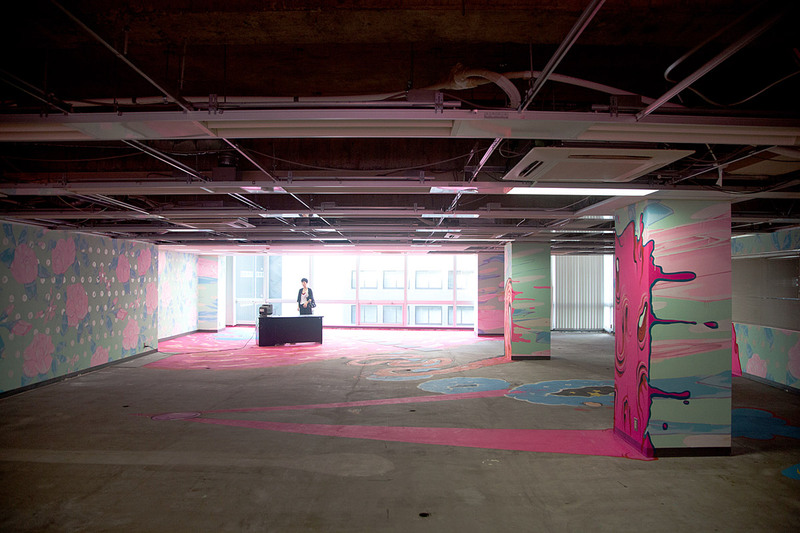 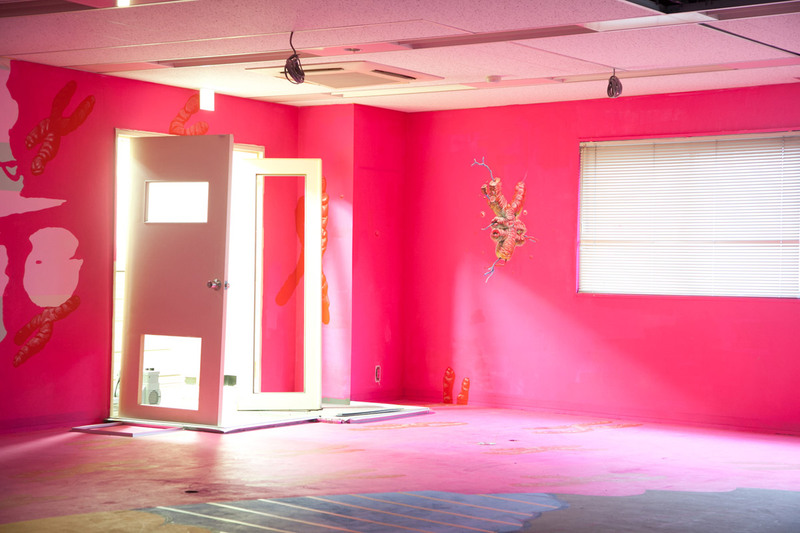 The fifth floor was a wall-less space of bright and dazzling pink. 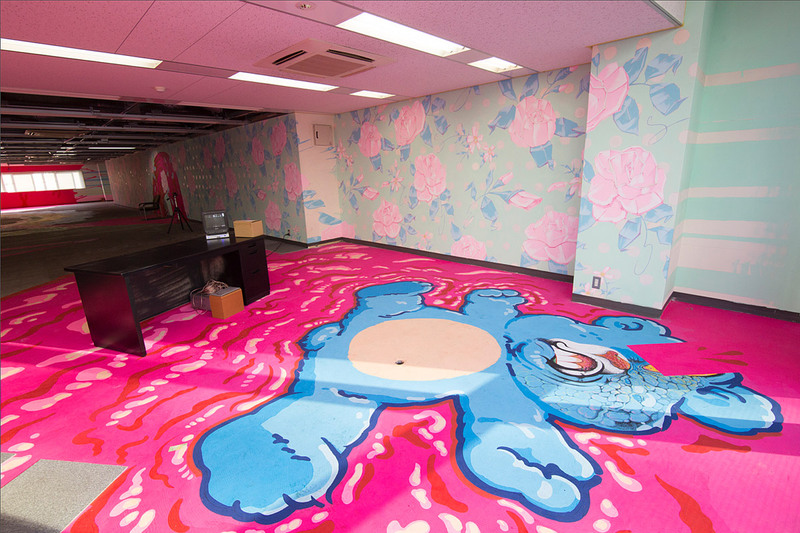 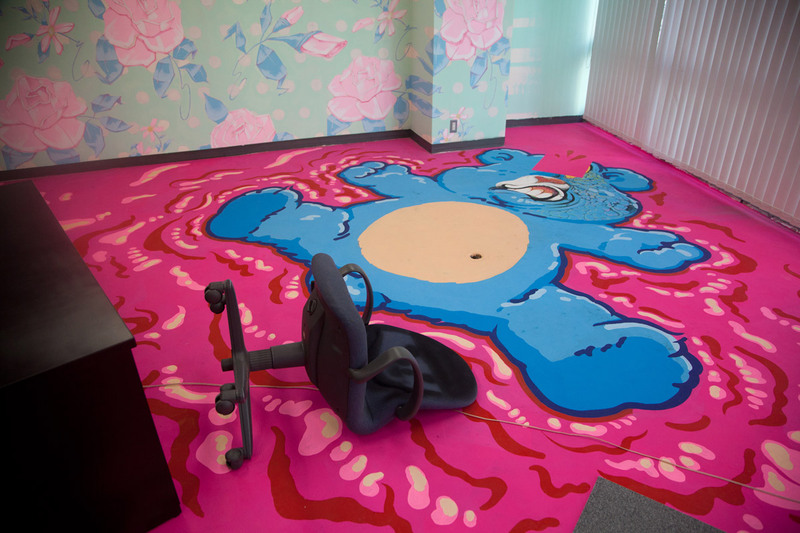 was sparked from the fact that this very space was once used as an office. 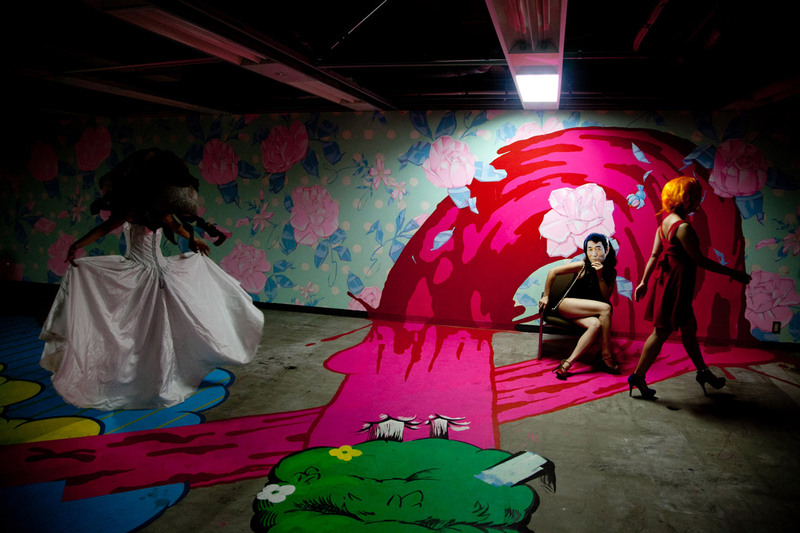 As the title “STRESS” conveys, images regarding the craziness caused by an oppressed and suffocating modern society fill the space. 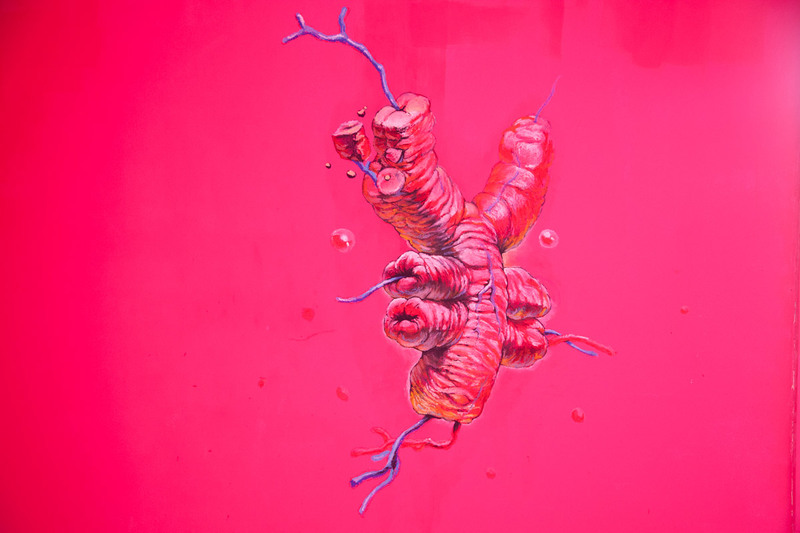 the weight and meaning that the title holds feels unexpectedly and deeply on spot. 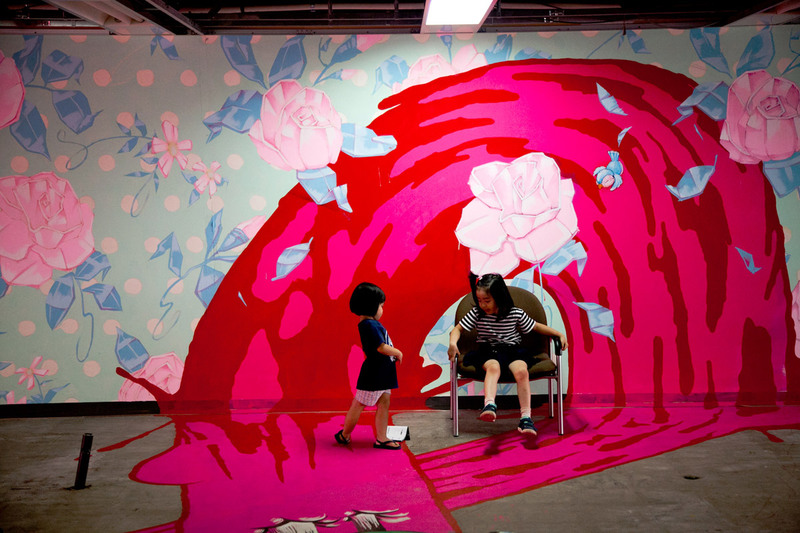 The dynamism, along with the mural’s delicacy were very distinctive in this story that unfolded in the spacious room.